The mass transfer of talent from BMR to SAM will be a strategic boon for the latter, and an existential issue for BMR Legal. Shardul Amarchand Mangaldas is set to absorb all BMR Legal partners in Gurgaon, Mumbai and Bangalore but one - founding partner Mukesh Butani. Butani, a dual-qualified lawyer and accountant, had also founded BMR Legal’s best friend consultancy firm BMR Advisors. The Shardul Amarchand hires are understood to pretty much include all senior lateral hires and talent acquired by BMR over the years, with between one and two partners each in Gurgaon, Mumbai and Bangalore. That includes BMR Legal’s very first pureplay M&A partner, Amit Khansaheb, who had joined from Desai & Diwanji in Gurgaon in 2013. Khansaheb had last year acted for Jabong on its Flipkart buy-out, on the CarDekho fundraising for Times Internet, the Minda Rs 150 cr buy Rinder. Significantly, two partners in Bangalore, hired in 2014 from Themis Associates - Roshan Thomas and Siddharth Nair - will also be joining. Thomas works in general M&A, while Nair specialises in venture capital work, having last year, for instance, acted for Faasos on its $30m fundraising round. That will give Shardul Amarchand a strong foothold in Bangalore, where, having opened one year ago, it still has a much smaller presence than competing large national law firms. And in Mumbai, capital markets partner Kaushik Mukherjee, who had joined from J Sagar Associates (JSA) in late 2015 will also be joining Shardul Amarchand, giving the firm some much-needed capital markets presence in the city. Butani did not respond to calls and emails for comment since yesterday. This news was first reported yesterday in our exclusive subscriber-only newsletter. Sign-up below to also be kept up to date with breaking news and developments. Crazy! Game over Cyril Bhai?!! That will give Legally India a stronger foothold in India, where, despite opening eight years ago, it still has a much smaller readership than competing large national publications. The use of despite here is far too radical for an office that was established less than a year ago. I regard LI highly but this article unnecessarily uses the term "despite". I hope you reconsider the lanaguage. You could have instead focussed on how the firm has grown over the last few months. Your sentence would have made sense if the office was established five years ago and still had just a handful of lawywers. Yes, you are 100 percent correct. I was subconsciously looking for a different word, then didn't find it and forgot about it. In part though, I was thrown off by the speed of growth of CAM in Delhi, for instance, where it's 100+ lawyers now after 2ish years. accha hai!! what will happen to the kiddies who were made SA in firms like BMR. SAM will make them SA-D? and the PAs of this BMR will be what PAs in SAM? no issues with existing SAM PA/SA or people who weren't promoted in SAM but of same batch? is this a buy-out or a raid? unlikely a buy-out but then a raid of near 100pc lawyers of bmr? huge news.please keeep posting updates. Raid - and BMR Legal was about 40 lawyers not a 100. What SAM has done in two years is truly remarkable. They have the opened one of the leading practices in Mumbai giving the likes of AZB and CAM a run for their money with star hires like Shuva Mandal and Akshay C, they have opened a Chennai office again with tier 1 lawyers such as the ex Cognizanf GC and the whole of the CAM Chennai team, their Bangalore office now has the bench strength required, they have managed to be the exclusive Lex Mundi firm for India, they have effectively retained the Slaughter and may best friend arrangement, they have not lost any big stars unlike virtually everyone who they compete with. Most importantly unlike any other Indian firm, they are one firm across geographies. They are the true successors of Amarchand Mangaldas, only better! CAM unfortunately seems to be withering away. And it's really sad. Who would have ever predicted this. what are the reasons for CAM's failure? Especially to retain talent and make in roads into Delhi? Why was CAM unable to hire star lawyers in Delhi other than Percy who is set to leave for counsel practice? Why want CAM able to pull of valuable acquisition like this one of BMR legal? Kian, a good analysis of SAM and CAM is necessary. Very insightful Mr. [...], thank you! Why don't you provide the analysis you have requested? Not sure if integrating a tier 3 firm into a tier 1 firm is a good strategy - the partners may be of good quality, but the juniors may not fit in - bad move. Should have simply hired the partners. This kind of mass hiring is never good news. To hire does not mean to promote. In this market, every warm body you can throw at a transaction, will justify costs eventually. They'll slow down the promotion/ growth of the truly bad. Do you really think all "so called" Tier 1 firms have the most talented lawyers with impeccable quality of drafting? You gotta to be kidding me! Some Tier 1 practices in Bombay have the shoddiest drafts and have retained lawyers with zero sense of understanding the law in itself. It is a collective, intellectual tragedy that we ought to think in this way! Small firm lawyers are equally competent, if not more! BMR has been doing it for quite some time now! This was a mass exodus and accept it the way it is! Dont forget that BMR is still one of the best tax practices in the country and they shall bounce back. You may be right that quality may not be consistent across the board - which is necessary if the firm has to continue to be tier 1 - which is pretty much the point I was trying to make in the first place. If you have experienced bad quality in other tier 1 firms - one of the reasons may be such enmasse hirings, which are undertaken keeping in mind a broader strategy (example CAM). Small firm lawyers may be equally or more competent - but there is always a reason why they are where they are. If they are really good, they will invariably find place in a big firm sooner or later. Tier 1 firms are tier 1 because of their billing rates, not competence. Ar'rent both connected my friend....you want quality you pay more!!! It is this misconception that results in clients paying a bomb for shoddy work. rest assured, the Retainers who now join SAM will receive a massive jump in their pay packet! Big hires. Will be interesting to see how Amit fits in Delhi. Bangalore is a great hire. The likes of Indus, Tatva etc beware. Roshan and Sid are great hires. For what ? They are more known for shifting firms than doing deals!!! So no leading law firm partners were willing to touch them except for a tier 3 firm? Everyone knows SAM is struggling in Bombay. The one firm gimmick was long buried with the cold war between Shuva and Akshay. Their PR machinery may paint a rosy picture in LI comments, but facts remain facts. SAM is struggling in Mumbai? And you base this on? Not deal tables, rankings etc. Right? And what is this Cold War that you refer to? Fantasising much? I base this on league tables from the time AMSS split happened except last quarter which seems like an anomaly. Why don't you quote market leading deals that Bombay office as a whole has done or more specifically Akshay or other teams have done (Shuva can at least claim the Tata matter as the feather in his cap). Everyone has heard about the stress Shuva has faced since becoming M&A head and which has been passed on to junior partners. Wait, did I just give myself away as a SAM insider?!! That's impressive indeed! 7 deals in the period from 2015 till now! I am trembling in my corner and what classy language. My friend look at their PE volume - 84 deals ! Number 1 by Chambers and Partners. Seriously be quiet and sit in that corner!! In the hurry to defend, the family doth give much away. Do you also want to share your upcoming deals?? What stress has he faced? Wondering how will it give SAM the much needed capital markets presence. How many IPOs has he/they done in Mumbai since 2015?! [...] It is well know that to crack the ECM space, you do need to be with one of the top tier firms and thus I would not be blaming him if his practice in JSA did not pick up or if he has not been seen in too many IPOs in the last couple of years. IPOs generally are few and far between and that too cornered by the bigger players who have the requisite bench strenth to deliver in the face of crunching deadlines. Lets wish him the best and hope that he is able to deliver once he has the right platform from where to pitch for these IPO mandates. One's qualities as a lawyer can never be guaged just by the sheer number of deals he has done. The platform he is on plays a big role in this! And lets not forget this fact. On a different note, did Souvik miss out on a big opportunity since he had quit BMR earlier last year and had restarted Acuity Law? Kian - Any updates/news on that? Heard a similar coup is in play @ [...] - get ready to hear of mass promotions or mass exits. Now who is it now?? SAM joining CAM?? Like anyways after BMR teams move, CAM is open to discussing counsel position with SAM partners!! this by any chance be another tax heavy firm? I am sure CAM will top the league tables. Cyril's name on the letter head is enough. Cyril is India's leading corporate lawyer and his brother is not. Read the full article, only employee/ESOP related advice - not the merger deal! ...Will they get to count this deal for league tables without being involved on the main merger? CAM will top the league tables every year, as the largest law firm in India by head count. And other league tables also in future..
Kian: does advising employees give Cam deal credit? Any employee can hire a lawyer who will then claim the deal was his! Who is representing Snapdeal on the merger and Bansals on their stake? The Vodafone Idea deal was the only reason why the deal table was so skewed in favor of a few firms. SAM only played a part in one aspect of that deal and should not be given credit to be the legal advisor in a 13B USD transaction. BTW the deal between Flipkart and Snapdeal is still not finalized. CAM will be advising Snaspdeal even in the merger. In a place like India, the name on the letter head matters more than individual stars. None of the star partners except Ashwath were able to take clients. While SAM is busy spending money to hire tier 3 lawyers, CAM will be negotiating a transaction which will change the landscape of the e commerce industry in India. You must remember that in 2015 there were a lot of exits at AZB but they did remarkably well that year and topped the M&A league tables by a long margin. 2015 was a better year for AZB than 2016. Zia's name on the letterhead is what mattered. In a country where all large companies are promoter driven, the name on the letter head is what matters.Cyril is in a different league and Shardul is no where close. What were they thinking when they hired both Shuva and Akshay? The cold war between the two is indeed having an impact on the bottom line. The Bombay office of AMSS always had the biggest clients and 2 years is not enough to undo the goodwill Cyril Bhai has acquired in India Inc over the course of many years. SAM will always lack this due to the name on the letterhead. I never knew hostile takeovers happen in cases of an LLP. :P SEBI kuch karo!!! This is no hostile take-over but something which was in the works. BMR has been looking to sell out for nearly 2 years...News had even appeared in ET in 2015 that KPMG deal was in the anvil. But, obviously, BMR Legal was an impediment if KPMG-BMR were to happen. Now that legal is out, it will be a done deal with KPMG for sure... 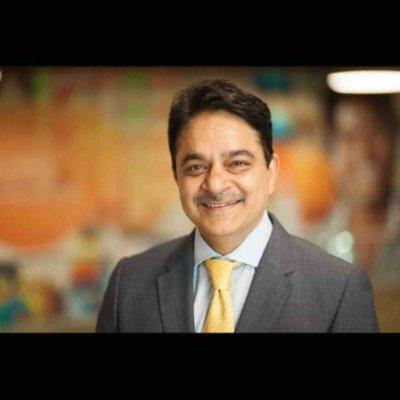 Interesting though that Mukesh chose to stay out...Is he looking for a larger role with KPMG? What happens to BMR legal's tax litigation practice, which is very reputed and is BMR Advisor's twin? Does SAM have the bandwidth to run with a strong tax lit practice? Interesting times ahead! But it's advantage SAM nevertheless! All the best to Khan and Team. This team consists of really good amount of talent in terms of competence (both quality and timelines). They surely will add value. Hope they are not insecure unlike the present lot in SAM. very good draft maa'm and detailed briefing as usual. Hows the weather in Delhi. Worried about people all around including stars performing above expectations in Delhi, but any rains for you in Mumbai ??? Way too excited gobbling a fledgling outfit, certainly more power to you, desperately needed ! @Kian - why was my comment not published? It didn't take any specific partner/lawyer names, just the name of the firm. I've also heard the same rumour, but had to censor the name of the firm since can't confirm yet if completely true. Rumours of a firm merging or mass defections may spook clients, partners and lawyers, or start a witch-hunt, so we tend to err on the side of caution in not publishing those (unless they are true or can be rebutted fairly easily if not true). Ok - FYI they are trying to retain people using a quasi equity structure for salaried partners and APs. Just remember you heard it here first! Can you match this, Saket? Kian - Why havent you published my earlier comment posted as reply to comment no. 9? Don't think SAM would be able to make much inroads into the capital markets space which is dominated by S&R, CAM, AZB and now Trilegal (Bhakta). These firms have gained much goodwill, expertise and reputation over time and it would be hard to break into this space. Trilegal ? Seriously ! They have only just started. How many capital markets deals has Bhakta closed in Trilegal ? Khaitan & Co. are way ahead in the capital markets space compared to Trilegal at least. You are kidding me right? Bhakta has closed deals across AZB, CAM, SAM, Luthra. Guess you are not in the charmed circle or still fuming over his exit;) Healthy competition is always welcome. Guess your reading/interpretation skills are not that great - not talking about Bhakta but about 'Trilegal' as a capital markets firm and dominating the capitals space as referred to in comment 25 above. I dont think no one matches up to Luthra's capital markets practice in Mumbai, led by Manan Lahoty. You guys can continue bickering and play lukha-chupi with each other as to whether Khaitan or Trilegal is better. There's no match for Sandip Bhagat when it comes to Capital Markets. When is SAM going to announce internal promotions? All of Big Law, including CAM, JSA, AZB etc have announced promotions - SAM is silent. What are they waiting for? The internal budget just got moved. Unless SAM too in 100th year is doing 100 partner announcement. Bombay is celebrating a 100 crore revenue year with a huge bash at Indigo today. All are welcome. Please to be taking other tier 3 also. We will stand in corners as much as needed to.